We are very sorry to announce the death of Megan Pound on 31 December 2017. 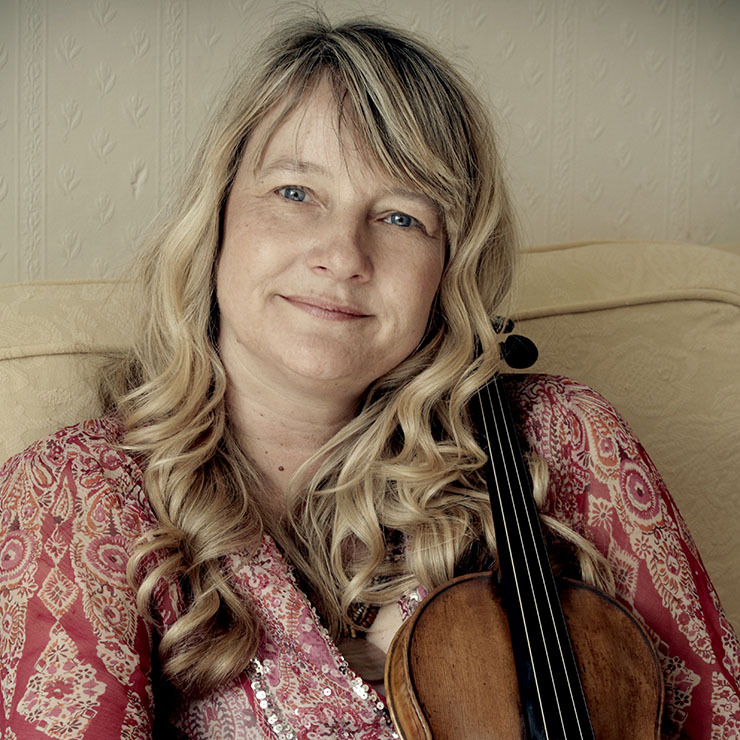 Megan had been the leader of the WOCo orchestra since its inception in 2008, and a much loved member of the professional mentoring team to the Emerging Artists. "We are enormously sad to lose such a wonderful friend and colleague. I remember her so well from the Camden Orchestra days (24 years ago now) she was a great leader then and I learned a lot about how to work with an orchestra from her, also plenty of string technique as I was not a string player myself. She has been a linchpin of WOCo ever since the start, she played in every production. She was a tremendous support for the young orchestral players and a consummate professional, both as a leader and violinist of wonderful musicianship, and company member. Henrietta and I always looked forward very much every year to seeing her for the week in France and she was a great support as one of the company mentors and constantly cheerful! The Gaillard’s who she always stayed with in Crazannes, said she is like a member of the family and they’ve looked forward to seeing her every summer. This summer is the 10th anniversary of WOCo performances at Panloy and we will be dedicating them to our dear Megan. We will all miss her very much and wish to salute her contribution to the work of the company at the château. It will never be quite the same without her." We are thinking of Megan's family, particularly her husband Martin at this difficult time. We are grateful to have launched WOCo with such an accomplished orchestral leader, mentor and friend.